I never watched the Emmy awards in my life, mostly because I find award shows incredibly boring. In addition to them being a snooze fest I decided to stay away from many of these awards shows such as the Oscars, the Grammys and many more due to the lacking presence of people of color. I decided at a very young age that I didn't want to support things and institutions that didn't support me. I even took that thought further and begin to feel we should create our own award shows, and give ourselves these accolades rather than wait for mainstream white entertainment to do so, and I still stand by those feelings. So, although I did not watch the 2015 Emmy awards, the swarm of images and video through social media displaying the sisterhood that was present touched me deeply. From Viola Davis acceptance speech to Taraji P. Henson amazing display of love and support to all the winners. It's the best of times, it's the worst of times. Our bad days are ubcredibky , but our good ones are so damn glorious. Here were my favorite sisterhood moments of the night. When Viola Davis made her acceptance speech. She opened with a powerful quote from Harriet Tubman, and also closed her speech thanking other Black women actors. 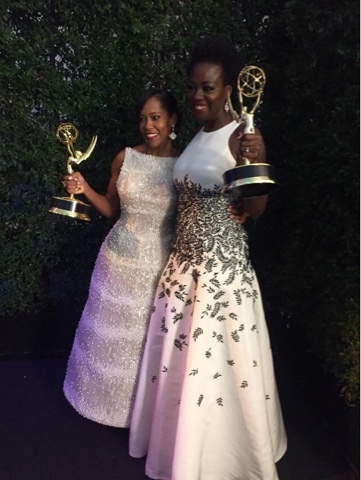 Shonda Rhimes and Oprah Tweet about Viola Davis's win! 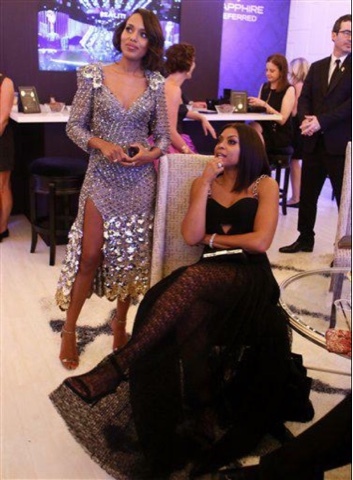 Taraji P. Henson screams in excitement as she offers her friend and first time Emmy winner Regina King her award. What were your favorite Emmy awards? let us know in the comments below!